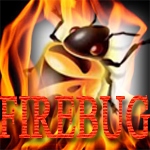 Open Firebug and write a code as shown. Press enter. Immediately you will see the output of the code.